What do climate change, krill, energy development and public lands have in common? They’re all among the topics of new environmental books arriving in bookstores this month. Frankly there are more environmental books coming out this May than any one person could read, so as usual we’ve tried to pick what looks like the best of the best. The full list — 15 thought-provoking titles — includes books for just about every reader, from dedicated environmentalists to history buffs to wildlife-friendly kids. 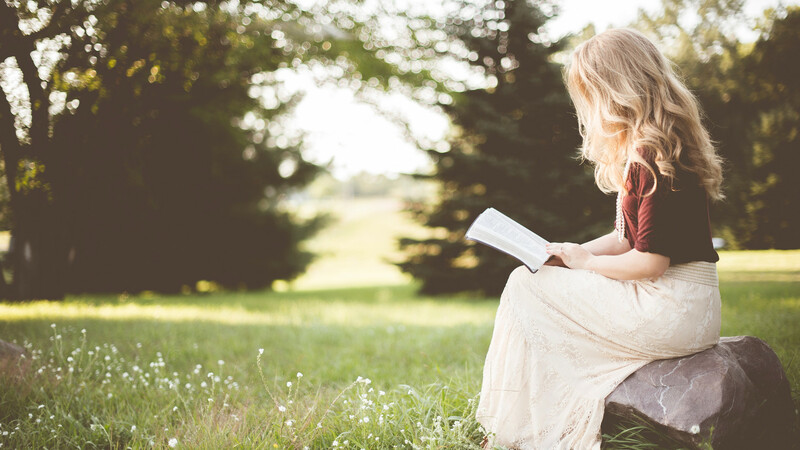 You can check them all out below — links are to publishers’ or authors’ websites — and then settle down in your favorite chair or park bench for a month of great reading. 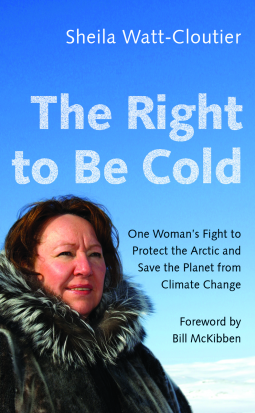 The Right to Be Cold: One Woman’s Fight to Protect the Arctic and Save the Planet From Climate Change by Sheila Watt-Cloutier — The weather in Inuit territory has become what the local peoples describe as Uggianaqtuq, “behaving in strange and unexpected ways.” This memoir by one of the world’s most important indigenous advocates recounts her efforts to save her native land — and its peoples — from the destruction of climate change. It gets our vote for the book of the month. Climate Change: What Everyone Needs to Know 2nd Edition by Joseph Romm — Yup, you need to read this book. It not only provides the science behind climate change in an easy-to-digest question-and-answer format, it also dives into the solutions. Buy copies for yourself and your friends. Weather: An Illustrated History: From Cloud Atlases to Climate Change by Andrew Revkin and Lisa Mechaley — To understand climate change, you need to know what’s changing in the first place and how things have changed over the centuries and millennia. This book provides 100 snapshots into the history of our understanding of, and relationship with, our weather system. Revkin has been covering global warming since the 1980s and has provided some of the most essential reading on the subject, so this is another must-read for the month. A Thirsty Land: The Making of an American Water Crisis by Seamus McGraw — Using Texas as a case study, McGraw’s book proves that the United States simply isn’t ready for the next big drought or flood. This is a problem that’s been brewing for a long time, and climate change is about to make it worse. Gulp. Trapped! 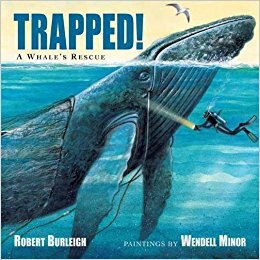 A Whale’s Rescue by Robert Burleigh, illustrated by Wendell Minor — Inspired by a true story, this kids’ book shows how a humpback whale got trapped in fishing ropes and nearly died — until humans came to her rescue. A gorgeous, powerful book offering important lessons for readers of any age. The Curious Life of Krill: A Conservation Story From the Bottom of the World by Stephen Nicol — Chances are you haven’t thought about krill in a while. Well, let’s change that. Nicol, a krill scientist, dives deep into the lives of these incredible oceanic species, reveals their importance in the food chain, and talks about how climate change and pollution have started to threaten species that have existed for millions of years. You’ll get a thrill out of reading about krill. No Word for Wilderness: Italy’s Grizzlies and the Race to Save the Rarest Bears on Earth by Roger Thompson — The last 50 or so Abruzzo bears of central Italy are in trouble on all fronts, with threats including farmers, illegal hunting, diseases, and even the mafia. Thompson discusses the complex history of this rare subspecies — and whether or not they have a future. Pandora’s Garden: Kudzu, Cockroaches, and Other Misfits of Ecology by Clinton Crockett Peters — Does the way we treat “unwanted” species like sharks or invasive species like kudzu really reflect the threats they create, or are we just projecting elements of our own psyches into these “misfits”? This is possibly this month’s most thought-provoking book. Beasts at Bedtime: Revealing the Environmental Wisdom in Children’s Literature by Liam Heneghan — What do talking lions and wise spiders teach kids about the natural world? More importantly, does children’s literature contain the tools necessary to teach kids about heady topics such as extinction, climate change and deforestation? 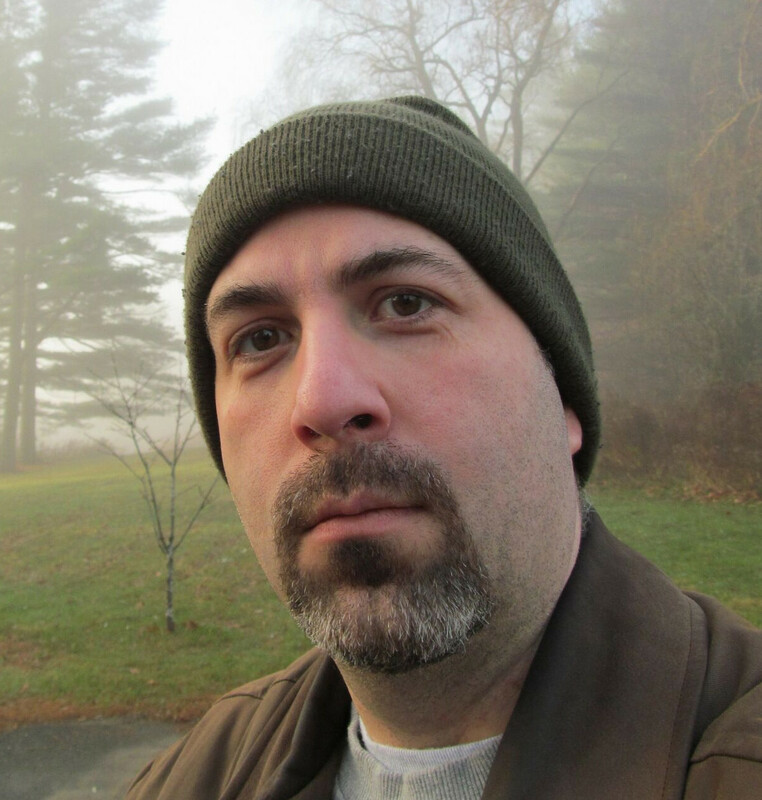 Heneghan explores the answers, looking at everything from Beatrix Potter to Harry Potter. 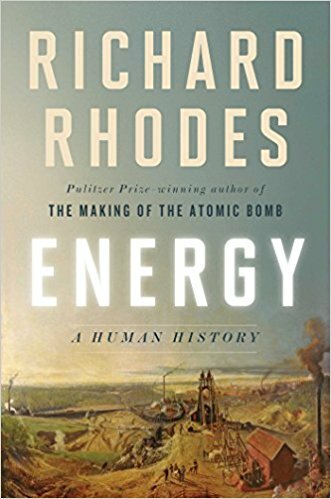 Energy: A Human History by Richard Rhodes — Life is about transitions, and here the Pulitzer Prize-winning author explores how the world has transitioned from early energy sources like wood and water to coal and oil and now wind and solar — and how that history may reveal what to expect in the near future. Fallout: Disasters, Lies, and the Legacy of the Nuclear Age by Fred Pearce — An exploration of eight decades of nuclear technology, the lives it has destroyed and the landscapes it has ruined. An important look back in an era when some people have proposed renewed development of nuclear power as a low-carbon source of energy. Chernobyl: The History of a Nuclear Catastrophe by Serhii Plokhy — Speaking of nuclear disasters, here’s a book-length history about one of the worst. You know, a little light reading. Chosen Country: A Rebellion in the West by James Pogue — Our final book this month is another timely, thought-provoking title. As armed-insurrectionist rancher Ammon Bundy tours the West talking about “range rights” and calling environmentalists “an enemy to humans,” this new book offers a firsthand account of the Bundy family’s seizure of Malheur National Wildlife Refuge and digs deep into the roots of the anti-government militia movement. An important read for troubled times. That’s it for this month, but there are lots more recent books waiting for you at your local bookstore or library. 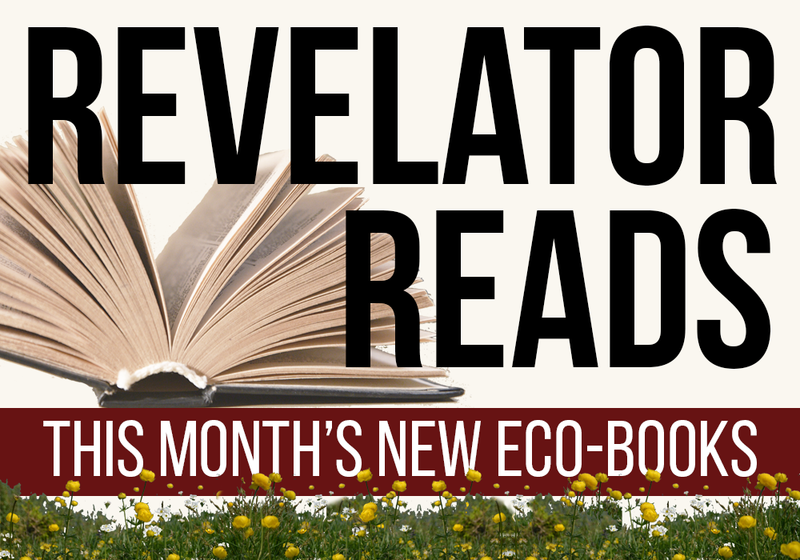 Check out our previous “Revelator Reads” columns for dozens of additional recent recommendations.